Olde Country foods is an independent wholesale supplier for retail stores and restaurants in the Northwest. If you would like to see how we can help you grow your business with competitively priced quality food products give us a call at (208) 267-0901. Our warehouse is located in Bonners Ferry, Idaho. From there we can deliver to your location within 200 miles on a weekly or bi-weekly basis. Our online catalog makes it easy to place orders and research new products to offer your customers. 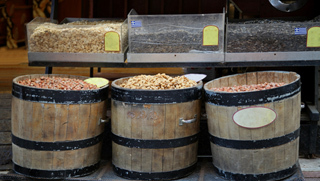 This site if for wholesale sales of bulk foods and specialty items. If you would like to sign up please register an account or give us a call.